Lola Shoneyin is a Nigerian poet, novelist and cultural activist. One of the most influential women of our time, she is the Director of Book Buzz Foundation, a Non-Governmental Organisation founded in 2012 dedicated to the promotion of Arts and Culture within local and global spaces. Born Titilola Atinuke Alexandrah Shoneyin on February 26, 1974, in the ancient city of Ibadan, Lola Shoneyin, the only girl child, and last of six children of her parents, Chief Tinuoye Shoneyin and Mrs Yetunde Shoneyin, who hail from Remo in Ogun State. She spent her formative years attending a boarding school from age six in Edinburgh. In 1984, following the unjust imprisonment of her government contractor father by the then military regime, she returned to Nigeria where she completed her secondary education at Abadina College. She then proceeded to Ogun State University where she obtained a B.A (Hons) in Literature. Her poetry is defiant, playful and exuding sexual audacity. Her first book, So All This Time I was Sitting on an Egg, a volume of poems, was released by Ovalonian House in 1998. To borrow the words of scholar Tosin Gbogi, the collection was “a signature work for the gynocentric strategy that is to become the most popular in the 21st-century Nigerian literature”, in other words, a foretaste of what is now characteristic of Shoneyin’s writings. Between publishing her first two volume of poems, Shoneyin attended the renowned International Writing Program at Iowa and was also a Distinguished Scholar of the University of St. Thomas, Minnesota. She obtained a postgraduate teaching degree in English, Drama and Media Studies at the Metropolitan University, United Kingdom in 2005. Blessed with the ability to work in different disciplines, Lola Shoneyin also writes prose. A stickler for both artistic excellence and ambition, her first two novels have remained in manuscript form. However, her third novel, The Secret Lives of Baba Segi’s Wives, was critically and commercially acclaimed both locally and internationally; it has been translated into several languages and adapted for the stage. Longlisted for the prestigious Orange Prize in 2011 and eventual winner of PEN Oakland Josephine Miles Literary Award, The Secret Lives tells the story of a polygamous household that falls apart when an educated and young new wife arrives. This novel has been praised for its multi-layered characters, the diversity of narratives, its effortless humour and graphic details. 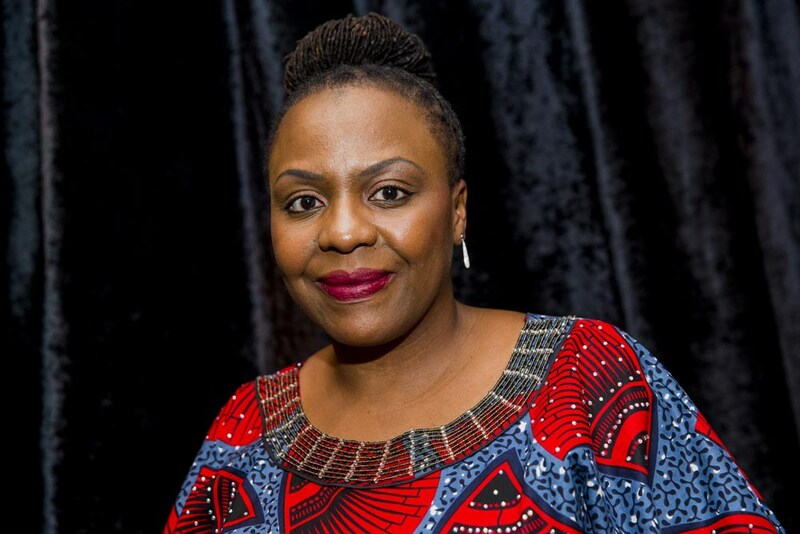 In April 2014, Lola Shoneyin was named on the Hay Festival’s Africa39 list of 39 Sub-Saharan African writers aged under 40 with potential and talent to define trends in African literature. Her short story was also included in the anthology Africa39: New Writing from Africa South of the Sahara. Shoneyin has always been interested in showcasing cultural and artistic production. While living in Ibadan at the turn of the millennium, she began a cultural gathering called Ibadan Arts Renaissance. When she relocated to Abuja, she co-founded Infusion, a popular monthly gathering for music, art and culture. Lola Shoneyin took a quantum leap in 2013 and organised the hugely successful Ake Arts and Book Festival, an annual gathering of creatives in music, film, books and visual arts now in its fifth year. Currently, this festival ranks as one of the best book festivals in Africa, having celebrated notable writers like Marlon James, Ngũgĩ wa Thiong’o, Niyi Osundare, Ama Ata Aidoo and Wole Soyinka. In 2017, Book Buzz Foundation in partnership with Kaduna State organised the inaugural Kaduna Book and Arts Festival (KABAFEST). The Foundation, in alliance with the European Union, is running The Right to Write initiative, a mentorship programme that equips writers from Northern Nigeria with facilities, know-how as well as opportunities to find their voices and become established. In the light of her accomplishments, one would think Lola Shoneyin will take a breather, but her restless creative spirit has nudged her into starting a publishing imprint, Ouida Books, which has published titles by notable names like Nnedi Okorafor, Ayobami Adebayo, Odafe Atogun, Tade Thompson, Dami Ajayi and Hadiza El-Rufai. Lola Shoneyin insists on producing entirely in when most of the competition print abroad. Recently, Lola Shoneyin was announced as one of the 2018 Judges for the Caine Prize of African Writing. It is important, at this point, to state that Lola Shoneyin is an incurable cynophilist who has also written and published children’s books. She has dabbled into journalism, having writing opinion pieces in the Guardian UK. She also ran a column in the now-rested NEXT Newspaper. For her groundbreaking achievements in helping to bring African literature to the limelight, Lola Shoneyin deserves to be the YNaija Person of the Year 2017. Great profile. I think she deserves all the accolades. I met her one on one at AKE 2017 and the woman I saw was full of energy and accessible. I know she has a lot to offer African literature.